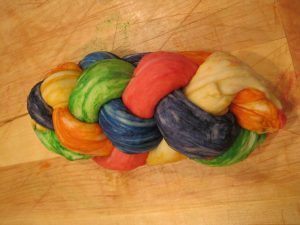 Rainbow Challah – Challah Braiding Blog! I am in love with an inanimate object (one of many). The one I speak of today is my bread machine. 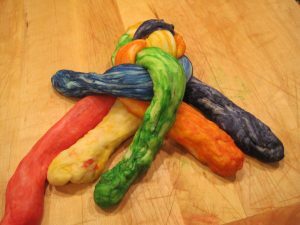 Thanks to the dough making workhorse I am able to make amazing Challah for my family every week… with about 5-10 minutes of effort! I place all the ingredients in the work bowl, turn on the machine and walk away. The bread machine is nice enough to let me know when its time to add additional ingredients, like raisins, and then lets me know when it’s done doing all the work for me! It’s truly a match made in heaven! Unfortunately, there are some flaws with the object of my affection. It only makes two pounds of dough at a time. When I need to make a lot of Challah I have to run the machine through multiple cycles in order to get the volume of Challah that I need. 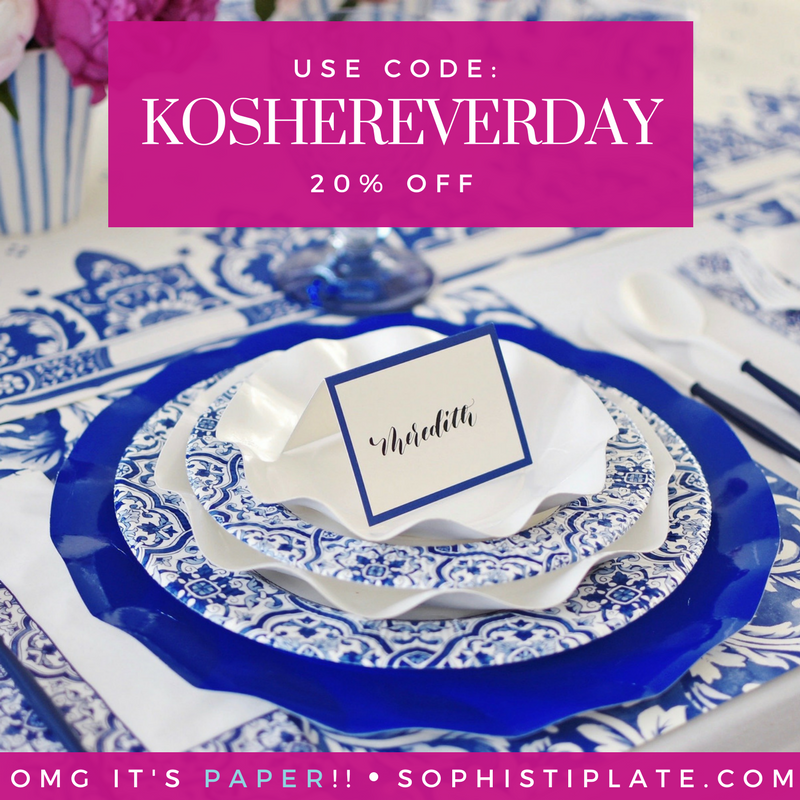 Think of a three day Yom Tov and you get the picture. 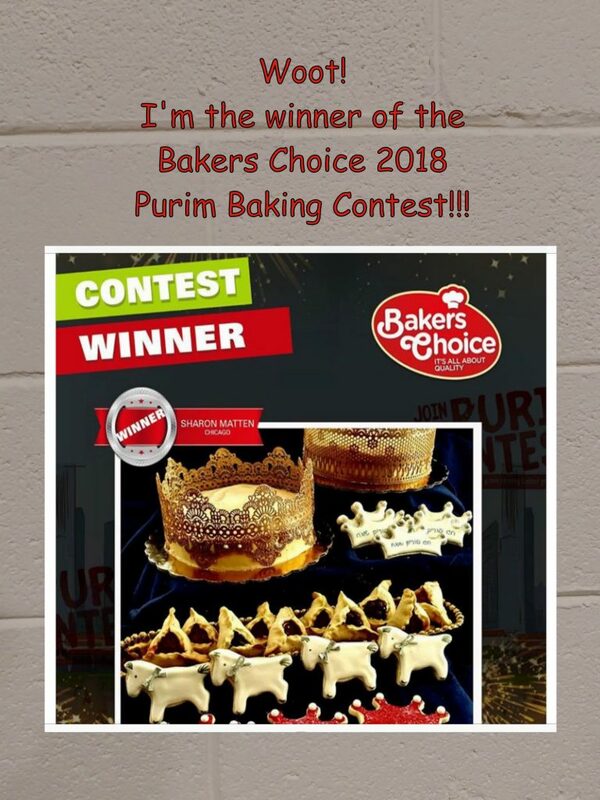 The other downside is that I don’t get to do the mitzvah of taking Challah with a bracha. It’s a pretty big mitzvah that we get to do, so I will periodically make a large batch of Water Challah by hand in order to make the L’hafrish Challah Bracha. 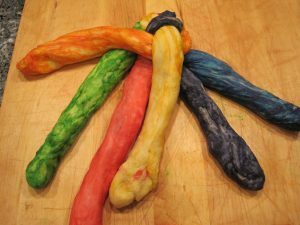 What makes a good Challah? 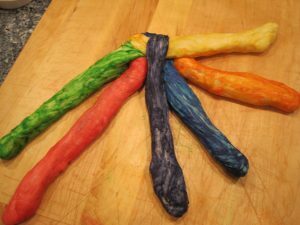 Basically it can be narrowed down to texture, taste and presentation. 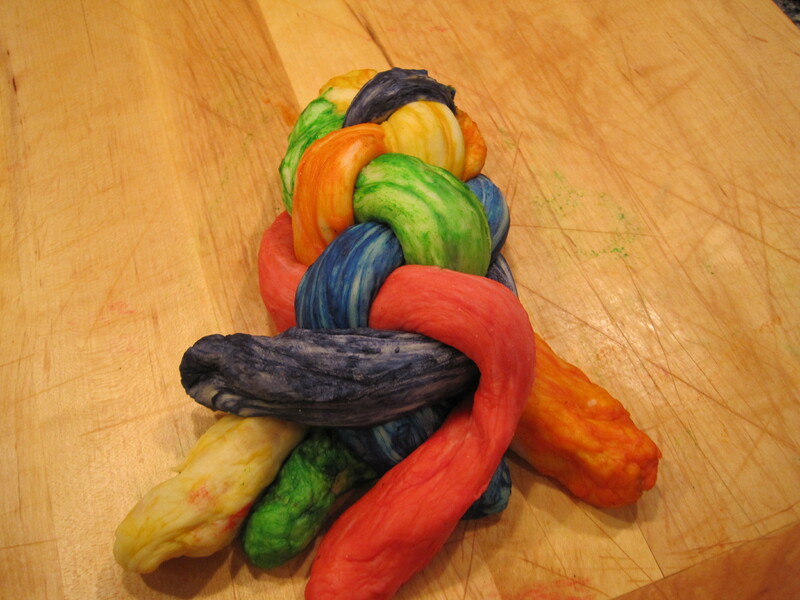 A good Challah should not be heavy or dense. Everyone has their personal preference for taste. 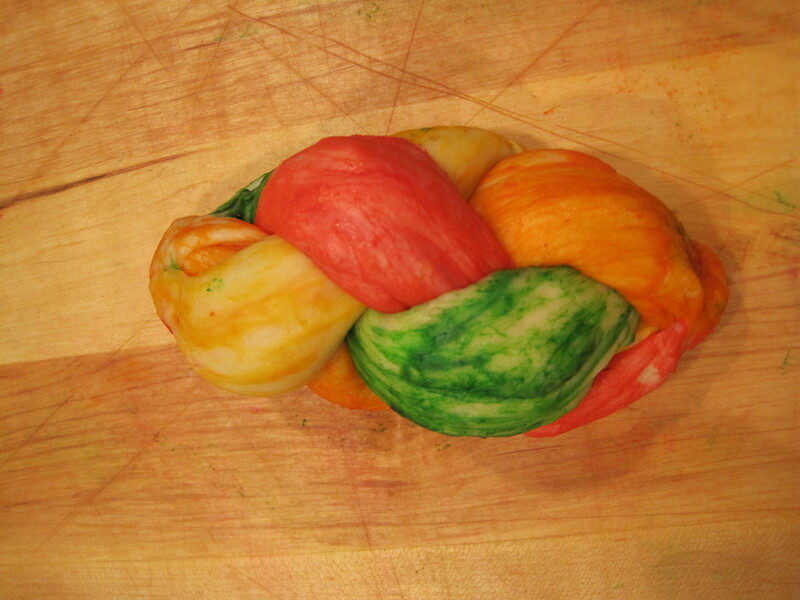 Our family likes a slightly sweet Challah or a good Water Challah. Presentation is also key. I have seen Challahs braided using 3, 4, or 6 ropes of dough. Pull apart Challahs are basically Challah rolls baked together in a round or oval pan to make up a Challah that is “pulled apart” after Hamotzi. 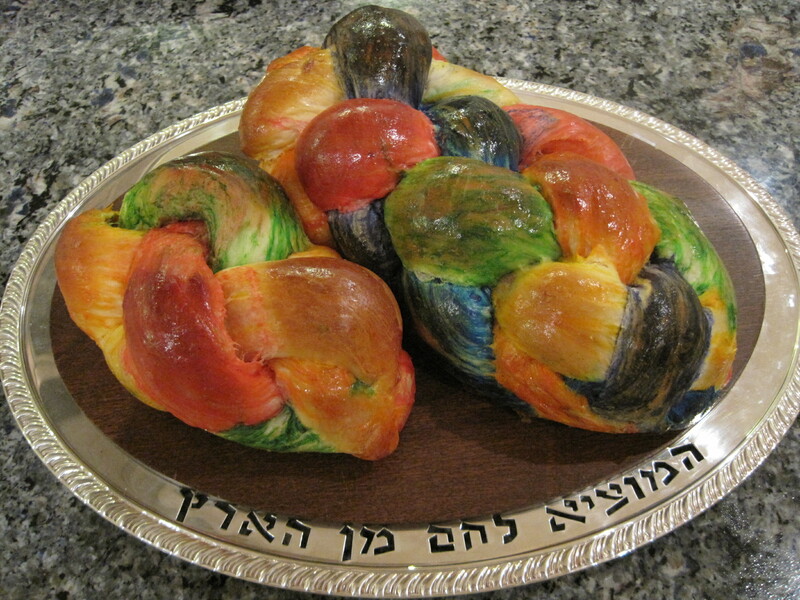 Challahs can be baked in a pan or on a cookie sheet. 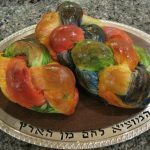 However you make your Challah, there are few moments as fulfilling as when the Challah cover is pulled off the Challahs, the beautiful Challahs appear as if by magic, and everyone gasps with appreciation! 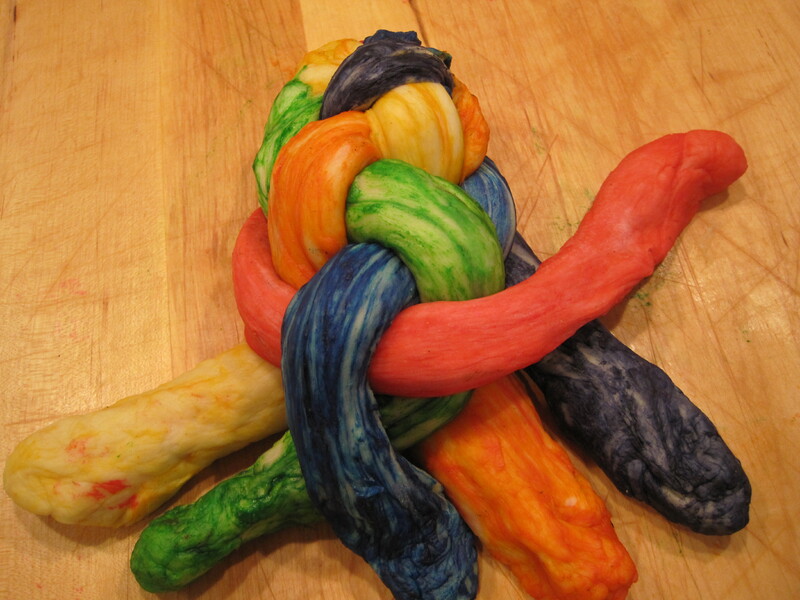 There is a certain skill to properly braiding a Challah. It’s an important element of the presentation of a great Challah. Once you know how to braid though, it’s like riding a bicycle. I was trying to figure out the best way to describe Challah braiding. I could put little numbers on the braids (like runners get during a marathon), but that seemed a little complicated (and the safety pins taste lousy). Then, I thought about color coding the dough ropes for clarity. 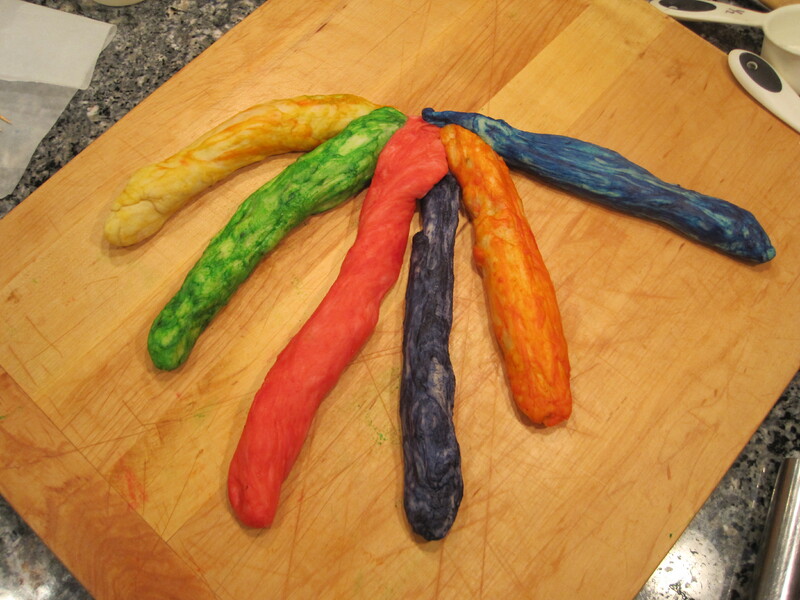 Hmmm… It has merit – and even better, when cut open you would get a rainbow Challah! How cool is that?! So I present the Rainbow Challah Challah Braiding Blog color coded demonstration with lots of pictures! 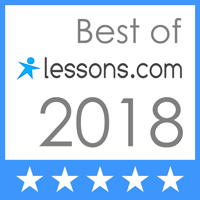 Have fun following along! Dissolve yeast with water and a teaspoon of the sugar. Allow to sit 5 minutes until foamy. Combine remaining ingredients and dissolved in an extra large mixing bowl*. Knead until smooth and elastic, around 5 minutes. Cover and let rise in a warm place for one hour until doubled in bulk. 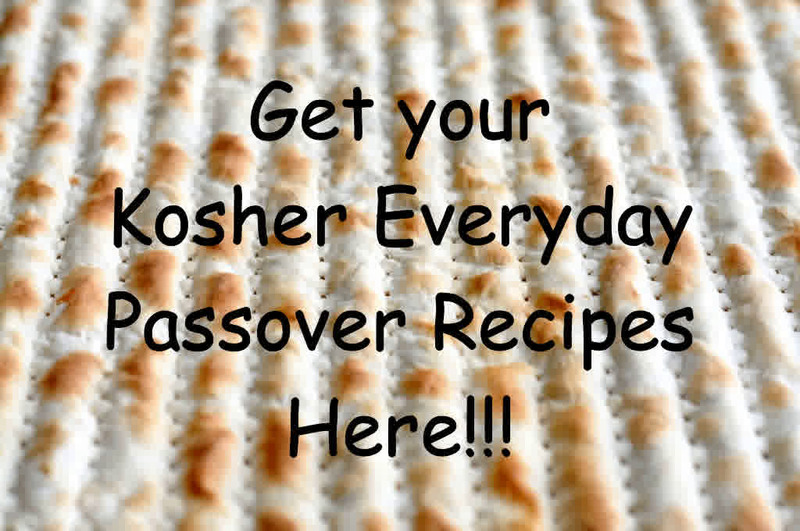 Take a small portion of dough for the mitzvah of taking Challah**. 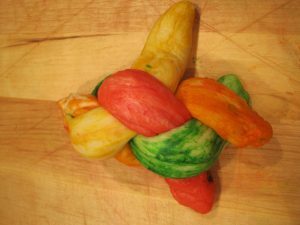 Divide dough into six one-pound Challahs, or 3 two pound Challahs. 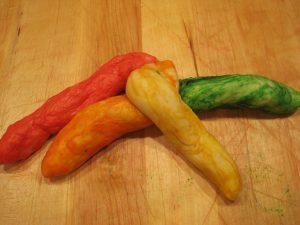 You can also divide the dough into smaller portions for rolls or ½ pound Challahs as well. 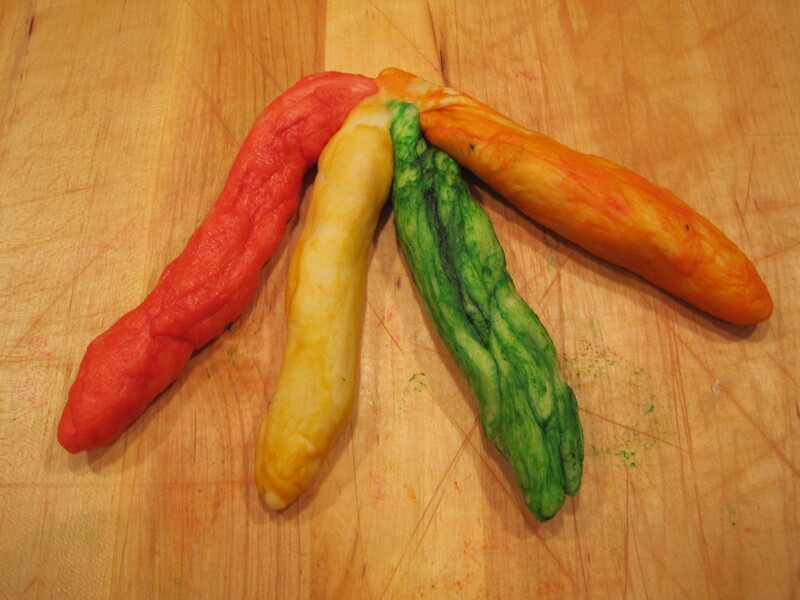 Braid into loaves and let rise another 45 minutes. 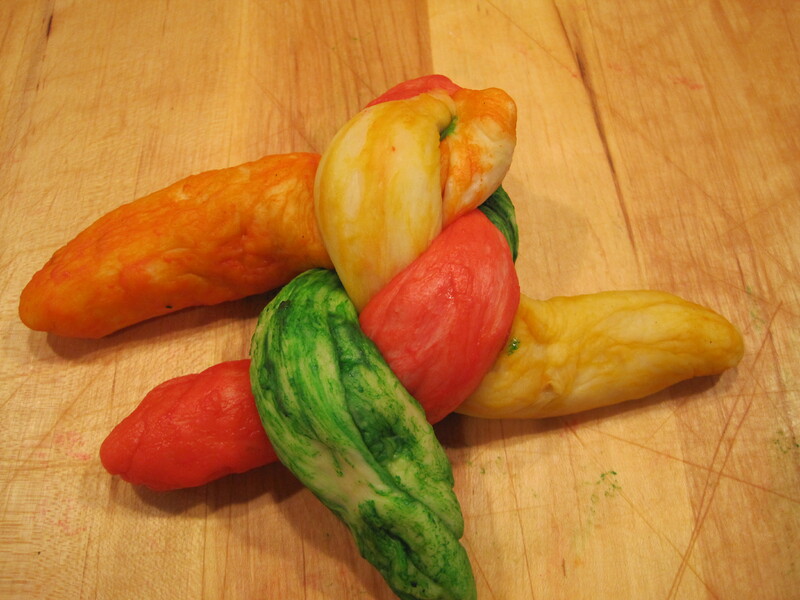 Bake Challahs for approximately 20-30 minutes depending upon the size of the Challahs. 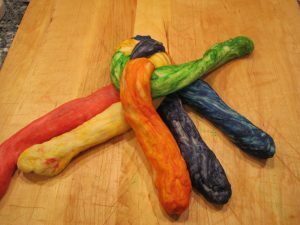 If making “Rainbow Challah” when a soft dough is formed, divide the dough into multiple sections and add food coloring to each at this time. 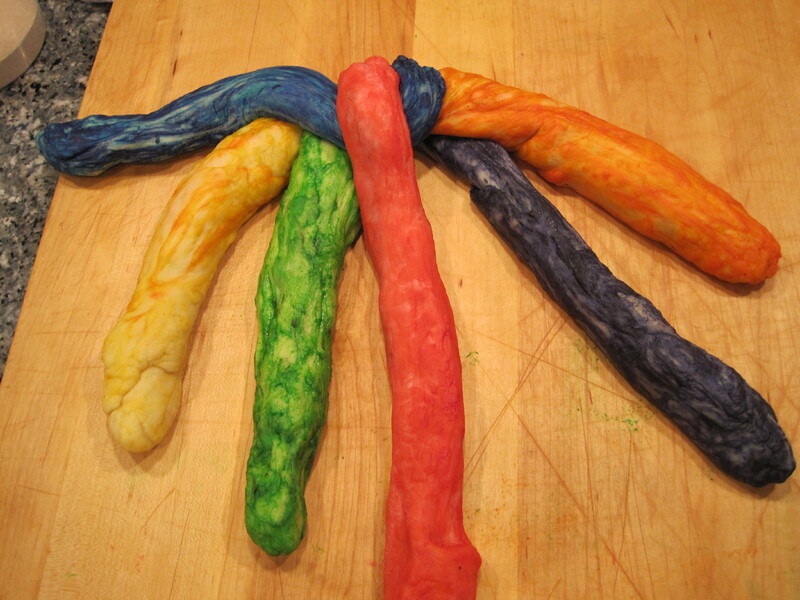 Gloves are recommended for the initial kneading of the coloring into the dough. ** See http://www.aish.com/sh/t/rai/48970616.html for more information of the mitzvah of taking Challah. Tra-La!! A 4 braid Challah!! Tra-La!! 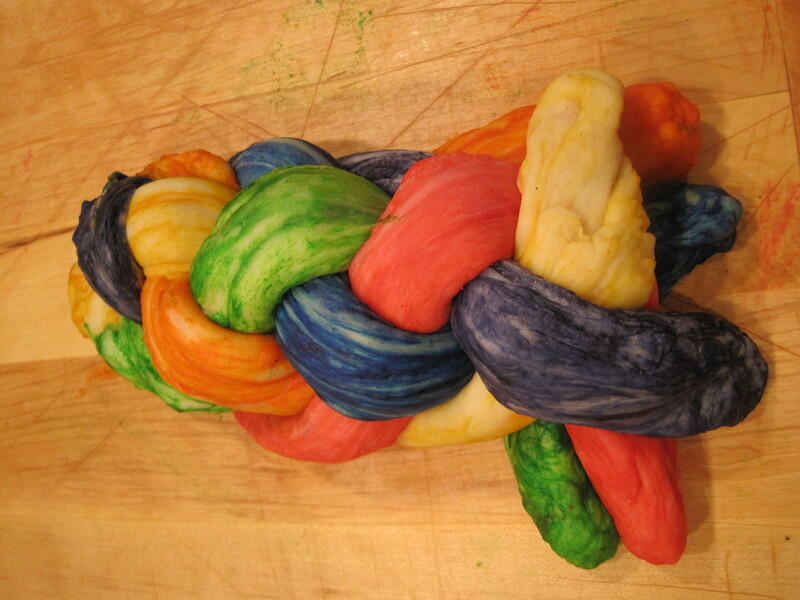 A 6 braid Challah!! These colours are so much fun, gotta try this. Thanks!! Please send me a photo to let me know how yours turned out!